Read (and Eat) Across America! Almost twenty years later, Read Across America Day is still going strong. 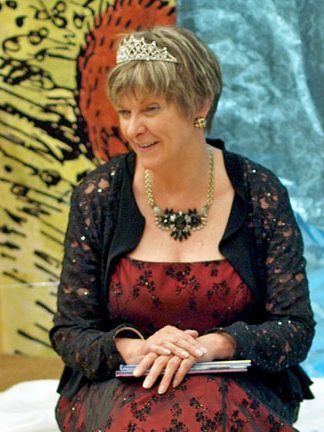 Schools, libraries, and community centers across the United States participate by sponsoring reading related activities and events. 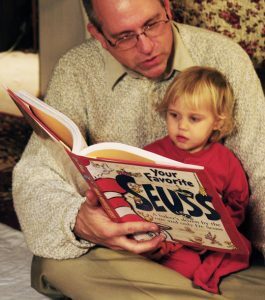 In my humble opinion, the best way to observe Read Across America Day is to read aloud to kids! If you don’t have kids (or grandkids) of your own, volunteer to read at a local school or library. Not sure what to read? 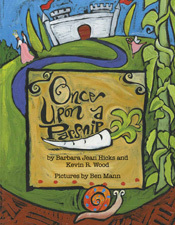 How about encouraging healthy eating by choosing a great book about food? Grab a book, grab a kid—and read! Images via Flickr under license by creative commons.org: Mom Reading, U.S. Department of Education; Grandpa Reading, J. Aaron Farr. Fine Art Mother Reading: Plum Leaves. 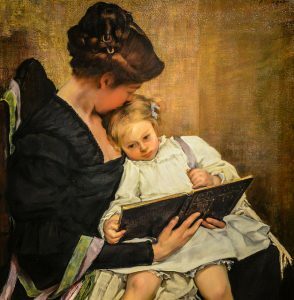 The painting, “At the End of the Day,” is by American artist William Sergeant Kendall (1869-1938), most famous for his evocative scenes of domestic life; his wife and three young daughters were frequent subjects in his early work. The painting is oil on canvas and is in the permanent collection of the Seattle Art Museum.